1. Veins containing hellfire, eyes carrying oceans, it breathes ruination. Though, while the cracks and snaps ever flees from corrupted system, like blood and control, it can never be free from itself. Body, it gets taken. Heart, it gets eaten. Mind, it gets shaken. Soul, it always awaken. 2. It, it, it. Always, always, always. 3. I t a l w a y s i t a l w a y s i t a l w a y s . . .
5. Gray eyes blinks, and from the blur of damned bridges and abandoned churches, they find a wall of bells. All broken and forgotten. Left behind with smokes that enters running nose and ashes that coats dried throat. It coughs, glancing around its surrounding. Burnt trees, beaten grounds, everything black. It closes its eyes. 6. It feels. It knows. It sees you. 7. Through the heavy breathing and quick beating, as grains sticks beneath swollen pads, flattened ears catches the waves calling it to come Home. Come Home, come Home, come Home, they chant... One, two, three, it sits on where it stands—the sands—and aggressively wipes the tears off of its cheeks. An act of stubbornness. Quiet. 8. The waves only roars at it. Always the defiant one. 9. Always. Always. Always. Inhaling unease, then exhaling resilience, its gaze settles on the fallen bells, gentle even when their bones rattles madly within hollow case. Paws twitches, teeth tingles. It shifts and reaches for them so they can be gathered into a pile. Silent helper it is. Be careful. 10. After taking and placing, and taking and placing, it stills. A stack of effort presents before soft smile and bright eyes. Not enough to gather all of the objects, it believes, but some of it is still there nevertheless. It puffs its chest and claps its forepaws. It winces at the pain kicking them for celebrating over what no one else will care about. 11. Once its forepaws awkwardly tucks back together, it notices a bell sets close from where it sits and its pile. The object glows. Pureness it holds. It nearly stumbles when its stands against the hot surface once more, but it manages to carry its whole weight as it pads towards the undamaged ball and taps it with its claw. 12. It does not ring nor sing. 13. It only pleads, and pleads, and pleads. Unknown to the movement of keys. Unseeing in... Everything and nothing all at once. Pale hues of a green sea danced and flickered, drawn to the quiet sound of movement. Even the quietest tremor caught her ears. Gently creasing brows as small paws followed the sound. "Aloha." Soft not shy. Like a feather, a spotted tail flicks, the tip lightly curling. New smell, unnamed soul. Only curiosity flashes in cloudy eyes, head falling to the side just slightly. There lingered in the depths of the young soul a wariness since unfortunes of moons before, never certain if the ones beside the gate meant ill or not. No malice in the air here, only for the clash of waves nearby. The constant beat of the ocean. Yet still apprehensive restlessness shook her. "Who are you?" ✯ — keona sibéal ó faoláin. female. striker of the typhoon. blind. 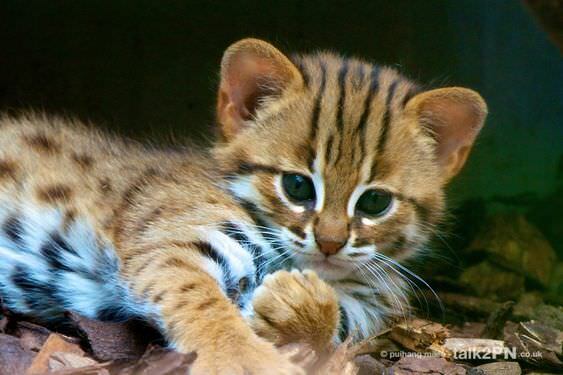 rusty spotted cat. ref. bio. 1. Slowly and willingly, it faces towards the petite figure. Gray eyes on silvery eyes. Yet, there is seeing, and there is unseeing. 2. "Al...oha..aloha..aloha..." it repeats, tone slow and low, whispers given to itself. One, two, three, the words leaked thin, yet noticeable, between sharpen teeth so they can reach for an attempt to recall. 7. Its ears twitches, head slightly lowers, gentle gaze shifts away from the figure and lands on the waves. Who. Who. Who is it, she asked? "Axcio." The answer hangs in the air that soon quivers between it and the other. 10. "Who are you?" A question, or a repetition it pulls? Its words weaves between harp strings—melody unknown. Muscles rigid, shoulders heavy, it sits once again and heaves a sigh. Shaky, as its mind is. Unsteady. The world begins to oscillate beneath its paws. 11. "Your home..." it says, attention shifts from the ocean to the lost land. "I want to—" Its head burns, it winces and ends its sentence with a hiss. "—h-help." 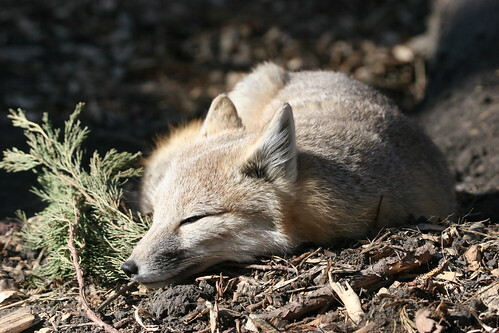 It shuts its eyes. Inhale. Exhale. Lay down. Quiet down. 12. Rubbing its temple once its stomach presses against the grains, it then adds, "Re-rebuild it when it's time." 13. Exhale. Inhale. Inhale. Exhale. While he respected her determination, a certain wariness built in Séamus' stomach whenever he realized Keona had gone patrolling. Or wandering. Despite her deceptive age and her rank, he struggled not to remain a constant shadow. Children needed space too. Nonetheless, the Fae seemed to morph out of the shadows of the trees. Eyes of a green sea blinked and narrowed with thought. Calculating. He aimed a gentle brush of a feathered tail against the child's side in greeting. A joiner, he supposed. One that could probably use a medic. "Keona Ó Faoláin," the Irishman offered, inclining his head towards the tiny Fae as he spoke. "I'm Séamus Ó Faoláin an' we're happy to a accept some help, Axcio. Though maybe you should check with a healer."